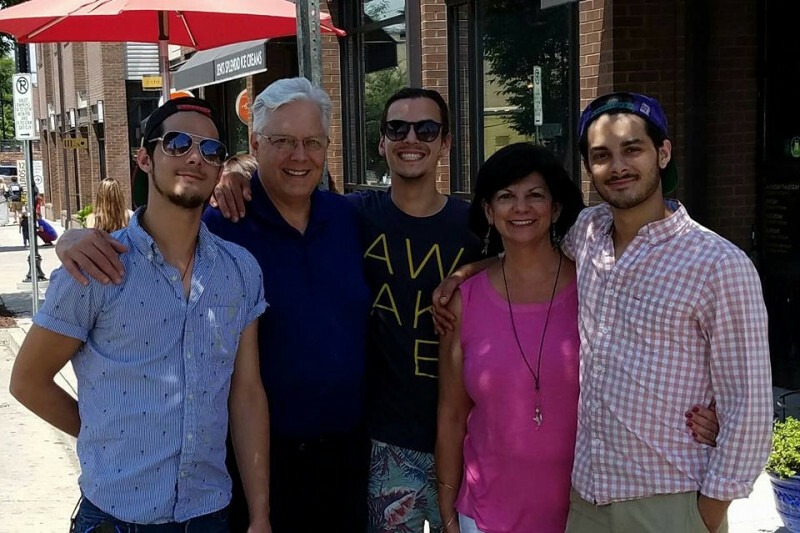 Jared, Wesley, and Branson Summers went to Gatlinburg, Tennessee with their parents to celebrate Thanksgiving when the tragic wild fires struck that have devastated the Great Smoky Mountains. Being forced to evacuate, the family left together, but as the exit became blocked, the family was forced to flee on foot and were split up -- with the parents going one way and the brothers another. All three boys sustained severe burns and were airlifted to Vanderbilt Medical Center where they are currently being treated. As of now all three are in serious but stable condition and one remains unconscious. The future is uncertain for the brothers right now. A quick search of social media and you can tell by the outpouring of love and concern how much these brothers are beloved in the Nashville and Memphis communities and beyond. All three will be out of work for the foreseeable future and will obviously be facing a mountain of medical bills. This GoFundMe page has been set up to assist with not only their current medical care but also any unforeseen bills. Please donate what you can, every amount helps! 1. My name is Matt Bolus and I am a chef in Nashville, Tennessee. 2. I know all three brothers well having personally employed and worked with two of them. 3. 100% of the funds will be given to the brothers and spent at their discretion for medical bills, living expenses, and any expense related to the event. 4. The campaign has been set up so all three brothers are the beneficiaries of all funds collected and have direct access to them. I have no access in any to these funds. Two weeks into their recovery and two of the brothers, Branson and Jared, have been released. Fingers are crossed that Wesley will be released today or tomorrow. Now it is time to heal, morn, and rebuild. All of this is only possible with everyone's help. Hard to believe that in only 7 days we have reached 65% of our goal! Thank you all! 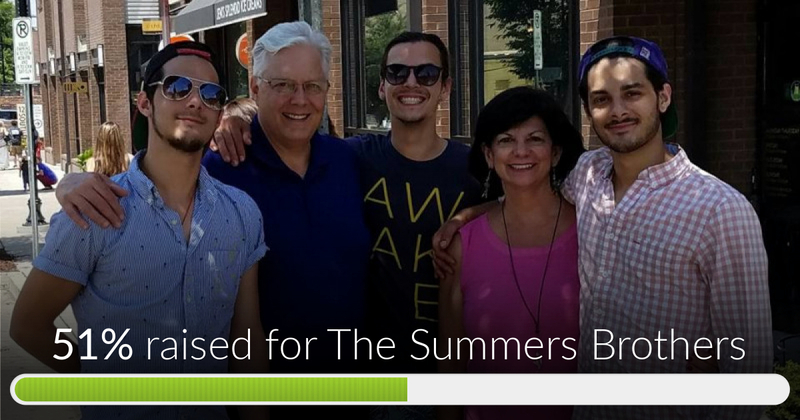 The Summers Brothers has reached 51% of its goal! I can't thank everyone enough for all the thoughts, prayers, and donations that have been given! I am asking everyone today to share this campaign on their Facebook page or Twitter feed. Please ask all your friends to do the same. With your help in spreading the word I know we can not only reach the goal but hopefully exceed it! Just left the hospital and got to see Jared who has been released! He is an amazing man whose first words spoken to me were "Thank you for all the support". His kindness and amazing spirit brightens such a dark time. And while the brothers are morning the loss of their parents they all still love seeing and hearing from all of you who are sending messages of hope and prayers for the family. I thank everyone who so generously donated!